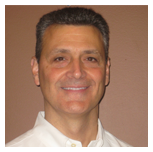 Dr. Frank Mordini is a Neuropsychologist with over 25 years of professional experience. He received a Doctoral Degree in Clinical Psychology from the Illinois School of Professional Psychology in Chicago, Illinois. He completed his internship at the Cleveland Veterans Administration Medical Center and a Post-Doctoral Fellowship in rehabilitation and neuropsychology at the Rehabilitation Institute of Chicago, McGaw Medical Center, Northwestern University. Dr. Mordini was employed as a senior Psychologist at the Rehabilitation Institute of Chicago until 1994. In this capacity he provided inpatient and outpatient psychological services on the Spinal Cord Injury Unit and supervised graduate students and post-doctoral fellows. Dr. Mordini held staff privileges at Advocate Christ Medical Center and Palos Community Hospital. He is one of the founding members and co-directors of Chicago NeuroBehavior Specialists, a private practice in Orland Park. Dr. Mordini previously held an academic appointment at Northwestern University Medical School. 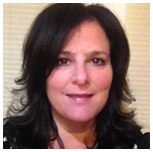 Dr. Mordini specializes in neuropsychological assessment of adults and older adults. He assesses individuals with dementia including Alzheimer’s, vascular dementia, Parkinson’s disease, Lewy Body Disease, frontotemporal lobe dementia, and other neurodegenerative disorders. Dr. Mordini also conducts neuropsychological assessments with individuals suffering traumatic brain injury, stroke, multiple sclerosis, cardiovascular disease, cancer, and other medical and neurological conditions impacting behavior and cognition. Additionally, as a specialist in rehabilitation psychology, Dr. Mordini has expertise in providing psychotherapy to individuals with medical conditions such as traumatic brain injury, spinal cord injury, amputation, stroke, and other disabling conditions. He furthers provides counseling and guidance to their family members and caregivers. In addition to maintaining a private clinical practice, he provides consultation at nursing homes, independent and assisted living facilities, and sub-acute rehabilitation units. For further information about Dr. Mordini’s services, he can be contacted at (708) 349-4420. Dr. John Atkinson received a Psy.D. in Clinical Psychology from Illinois School of Professional Psychology – Chicago in October 1998. 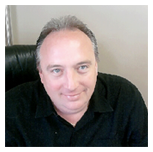 He has been licensed as a clinical Psychologist in the state of Illinois since June 2000. He completed his pre-doctoral internship at University Hospital in Chicago, Illinois, with a training emphasis in psychotherapy and psycho-diagnostic evaluation with children, adolescents and adults. As part of his pre-doctoral internship, Dr. Atkinson also conducted research at the University of Illinois-Chicago, examining the psychological effects of juvenile onset macular degeneration. Additionally, his dissertation research explored the effects on specific memory functions following a brain injury. His post doctoral requirements were completed at the Individual Advocacy Group (IAG) in Bolingbrook, Illinois. Dr. Atkinson additionally served as Director of Clinical Services/Staff Psychologist at the Individual Advocacy Group between 1997 and 2002, which is an organization that works in conjunction with the Department of Children and Family Services, Department of Corrections(Juvenile Division), and the Department of Human Services to provide therapeutic services to developmentally disabled and emotionally troubled children, adolescents, and adults. He also served as the Pediatric Neuropsychologist and staff educator at Hope Children’s Hospital. Dr. Atkinson has been in independent private practice since 1998 providing psychotherapy to children, adolescents, young adults, and families. He also conducts comprehensive neuropsychological evaluations with children, adolescents, and young adults. The clinical population he serves include individuals with difficulties related to brain injuries, learning disabilities, attention deficit disorder and hyperactivity disorder, Autistic spectrum disorders such as Asperger’s disorder and Pervasive developmental disorder, emotional adjustment problems and emotional behavioral problems. Robin Grais-Speizman received a M.S.Ed. in Educational Psychology from National Louis University in June of 1994. She received her Bachelors Degree from the University of Wisconsin, Madison, in 1989, in both Rehabilitation Psychology and in Special Education with a Type 10 Certification. Robin Grais-Speizman taught Special Education classes at Saint Josephs Carondelet Child Center in Chicago. She then worked at the Rehabilitation Institute of Chicago as a Pediatric Behavioral Specialist and Senior Neuropsychometrician for 10 years. She performed neuropsychological testing evaluations to both inpatients and outpatients suffering from brain injury. She also provided cognitive retraining and school reentry services to children and adolescents upon inpatient discharge and often continued for long term follow-up. Since 1999, Robin has been an associate in the practice Roger Stefani and Associates, now known as Chicago NeuroBehavior Specialists in Orland Park. She continues to provide neuropsychological testing to patients with brain injuries, neurological conditions, and learning and educational disorders. She and Dr. Stefani have developed an Executive Function Clinic to evaluate and treat Executive Function disorders in children, adolescents, and young adults. Dr. Walsh joined Chicago NeuroBehavior Specialists in July 2016. He completed his post-doctoral residency in neuropsychology at Marianjoy. In 2008, he was named Director of the Psychology Department and Coordinator of Marianjoy’s Brain Injury Program. 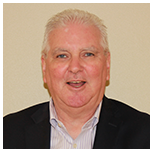 Dr. Walsh completed his undergraduate degree in psychology at Loyola University of Chicago and attained his doctorate degree from the Illinois School of Professional Psychology. Dr. Walsh has previously functioned in the role of adjunct faculty at the Illinois School of Professional Psychology. He has taught graduate level courses including Biological Basis of Behavior, Neuropsychological Assessment, and Psychopharmacology. He is a certified brain injury specialist through the American Brain Injury Association and provides clinical treatment and assessment of inpatient and outpatient brain injury survivors. His areas of specialization include neuropsychology, brain injury, sports concussion, mild cognitive impairment and dementia. Dr. Walsh is affiliated with the American Psychological Association, National Academy of Neuropsychology, and the Illinois Brain Injury Association. In 2010, he was given the Make a Difference award by the Illinois Brain Injury Association for his work in sports concussion. Dr. Walsh currently serves on the Governor’s Advisory Counsel for Spinal Cord and Head Injury for the state of Illinois. He also regularly participates in presentations to professionals and the community on topics related to brain injury and sports concussions. Dr. Walsh can be reached by calling 708-349-4420 or via e-mail at pwalsh@chicagoneurobehavior.com. Dr. Mishevski received her undergraduate degree from Indiana University, Bloomington, where she studied Education and Human Development and Family Studies. An interest in the world’s wisdom traditions, differing worldviews, consciousness, and psychology lead her to study yoga in 2004. Some time later, while teaching in various K-12 classrooms and studying yoga, her interest in the human condition deepened, and Dr. Mishevski decided to further her formal education, in order to study clinical psychology. 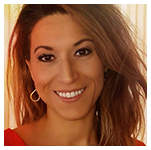 Dr. Mishevski completed her masters and doctoral degrees from The Illinois School of Professional Psychology, graduating with her doctorate in 2013. She has been working with patients since 2007, and has experience working with children, adolescents, and adults in a variety of diverse settings, including: schools, mental health clinics, an outpatient treatment program, a medical facility, and private practice settings. Dr. Mishevski also holds a certification of a 1-year fellowship with the Chicago Center for Psychoanalysis. 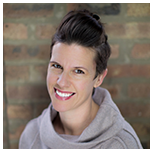 She is pleased to be working with Chicago NeuroBehavior Specialists where she can continue working in the psychotherapeutic capacity and administer diagnostic assessments, while meeting the needs of the community. Dr. Mishevski’s particular clinical areas of interest include, but are not limited to: emotional regulation (anxiety, depression, difficulties related to adjustments and transitions in life), and issues related to relationships, work, school, behavior, grief/loss/transitions, self-esteem, identity formation, meaning, purpose, and spirituality. Rebecca Wise is a Licensed Clinical Social Worker who has worked with individuals, families, and groups in a variety of settings. Strongly influenced by disciplines such as yoga, meditation and mindfulness, Rebecca also identifies as a healer and hopes to bring these practices to her clients in efforts to help them see their lives in new and exciting ways. Clients and colleagues have expressed gratitude for Rebecca’s gentle, yet wise spirit. She believes that her vibrant life energy has the power to help her clients unlock their greatest potentials to experience the vastness of life’s possibilities. The scope of Rebecca’s work is expansive. She has spent time working in child welfare as an appointed therapist with the specific goal of keeping children safe and protected. Rebecca enjoys helping people bolster their own natural support system and learn techniques to balance life’s goodness against its challenges. Rebecca has also worked in group settings and enjoys the interactive nature of helping people connect and relate to one another, enlivening parts of the mind and sparking the collective wisdom of shared experience. Rebecca has an undergraduate degree in Spanish and International Relations from Illinois State University. This degree afforded her of the opportunity to study abroad, which cultivated her love of travel and culture. From there she went on to earn a Masters in Social Work from the University of Illinois at Chicago, Jane Addams College of Social Work. Rebecca’s education and clinical experience, blended with her strong personal alliance with the healing arts affords her a unique, holistic approach as a psychotherapist. Rebecca Wise, MSW, LCSW is licensed with the state of Illinois, Department of Professional Regulation.